ACCENT CHAIR 59141DIMENSION: 34" x 32" x 65"HFEATURE: Black Frame & Bla.. Item Number : 05497Feature : BONDED LEATHER/CHENILLE CHAIRDimensi.. Item Number : 05947Feature : DARK BROWN LEATHER CHAIRColor :Dimen.. The retro lines of the Roweena Collection serve as a reminder that timeless..
Transitionally styled for placement in a number of home settings, the Cagle.. The rounded back of the Karlock Collection gently cradles while nailhead de.. The classic look of the Oreboro Collection is created with tailored styling.. Muted decorative flair comes in the form of the Roper Collection. Providing.. The low seat back and tailored profile of the Flett Collection creates mode.. Item Number : 15032Feature : TOP+SPLIT LEATHER CHAIRDimensions :&.. LOUNGE CHAISE15036DIMENSION: 63"x26"x36"HFEATURE: Black PUPackage: PKG:1PC/.. LOUNGE CHAISE15037DIMENSION: 63"x26"x36"HFEATURE: White PUPackage: PKG:1PC/.. Fabric Color TRI-TONEDescription	Width	Depth	Height	Seat Depth	Seat HeightC..
Model Number: 501683Dimensions:Width: 42 x Depth: 38 x &n.. Fabric Color CREAMFinish Color CAPPUCCINODescription	Width	Depth	Height	Sea..
Model Number: 501833Dimensions:Width: 42 x Depth: 38 x &n.. 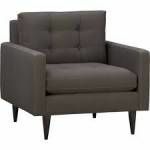 Item Number : 50217Feature : CHAIRColor :Dimensions : 35"L x.. Item Number : 50242Feature : GRAY FABRIC CHAIRDimensions : 3.. Item Number : 50247Feature : TEAL FABRIC CHAIRDimensions : 3.. Item Number : 50262Feature : ESPRESSO LEATHER GEL CHAIRColor :Dim.. Fabric Color BLACKFinish Color BLACKDescription	Width	Depth	Height	Seat Dep.. Item Number : 50292Feature : FABRIC CHAIRDimensions : 39"L x.. Item Number : 50347Feature : CHAIR W/2 PILLOWSDimensions : 3.. Fabric Color DOVE GREYWood Finish CAPPUCCINODescription	Width	Depth	Height	.. Fabric Color BLACKWood Finish CAPPUCCINODescription	Width	Depth	Height	Seat.. Item Number : 50437Feature : CHAIR W/ 3 PILLOWSDimensions : .. Fabric ColorSMOKEY GREYFinish ColorBROWNDescription	Width	Depth	Height	Seat.. Fabric Color CHARCOALFinish Color BROWNDescription	Width	Depth	Height	Seat .. Finish Color CHARCOALDescription	Width	Depth	Height	Seat Depth	Seat HeightC..
Model Number: 505203Dimensions:Width: 35.5 x Depth: 34 x .. Fabric Color GREYDescription	Width	Depth	Height	Seat Depth	Seat HeighCHAIR	.. Fabric Color BLACKDescription	Width	Depth	Height	Seat Depth	Seat HeightCHAI.. Fabric Color OATMEALFinish Color DARK BROWNDescription	Width	Depth	Height	S.. Fabric Color CHARCOALFinish Color BLACKDescription	Width	Depth	Height	Seat .. Fabric Color CHOCOLATEFinish Color BLACKDescription	Width	Depth	Height	Seat.. Fabric ColorBEIGEMetal FinishGOLD STAINLESSDescription	Width	Depth	Height	S.. Fabric Color CREAMFinish Color WEATHERED TAUPEDescription	Width	Depth	Heigh.. Fabric Color BROWNFinish Color BROWNDescription	Width	Depth	Height	Seat Dep.. Item Number : 50657Feature : CHAIRDimensions : 48"L x 37"D x.. Fabric Color GREYFinish Color DARK BROWNDescription	Width	Depth	Height	Seat.. Fabric Color SNOW WHITEFinish Color DARK BROWNDescription	Width	Depth	Heigh.. Item Number : 50662Feature : CHAIRDimensions : 50"L x 39"D x.. Item Number : 50667Feature : CHAIRDimensions : 43"L x 38"D x..